Vaporesso GT Core Coil is desined for NRG/ NRG SE tanks. 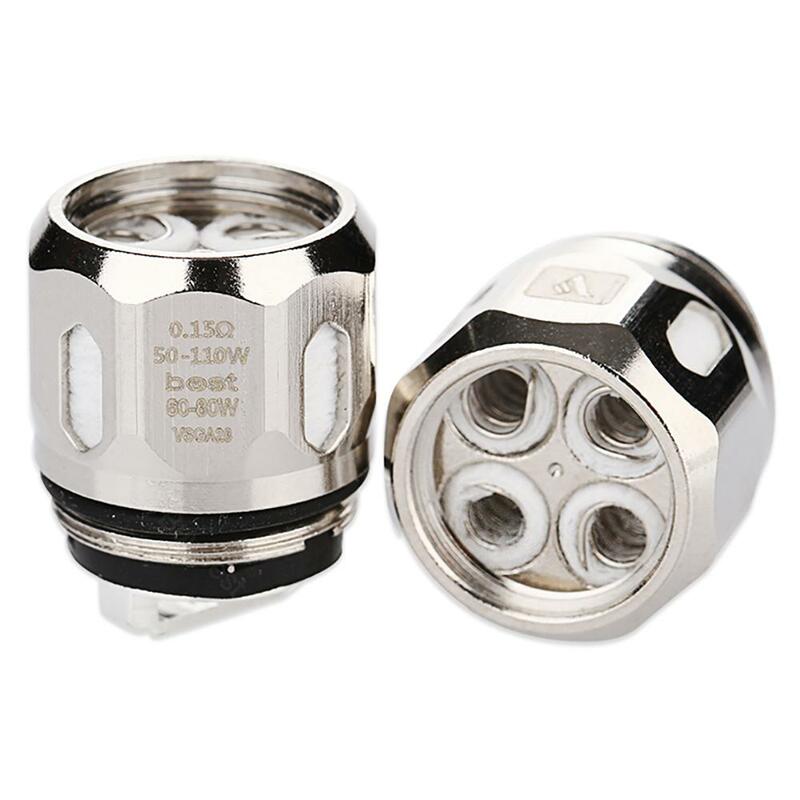 0.4ohm, 0.15ohm 0.2ohm and 0.5ohm for your choice with better performance. 3pcs each pack. Get them as spare part. NRG GT Core Coil by Vaporesso is designed for NRG/ NRG SE tanks. We provide GT2, GT4, GT6, GT8 and GT CCELL coils for your selection. GT2 is a 0.4ohm coil to give you the best performance of 55-65W. GT4 is a 0.15ohm coil to give you the best performance of 45-60W. GT6 is a 0.2ohm coil with best performance of 70-90W. GT CCELL is a 0.5ohm Ceramic coil with best performance of 20-35W. 3pcs each pack. Get them as spare part. • It's for Vaporesso NRG tank, NRG SE tank, NRG Mini tank, Revenger kit and Swag kit. I've moved onto the cCell Ceramic coils by Vaporesso.. Arrived in PA-USA in approx 2.5 weeks, which was expected. I was able to track the order with the app they provided. Will buy from Buybest again!